A business has to move quickly in a changing and demanding market. One of the biggest hurdles is finding and maintaining quality hardware and software that won't let you down. We provide complete preparation, installation, and maintenance services for businesses like yours! 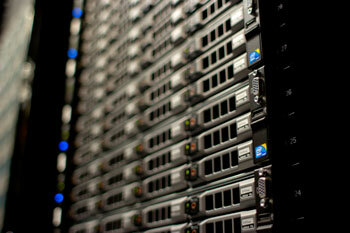 A business at its core requires quality workstations and servers. Unconfusing will help you find the best combination of equipment to get your business running as efficiently as possible. Servers require careful consideration of user management, permissions, and network access combined with powerful next-generation hardware to provide access to all of your workstations. They should be able to grow with your organization. System administration requires tackling intrusion detection, backup/recovery solutions, and preparing for worst-case scenarios. Workstations require specific data protections, domain permissions, and hardware configurations. These allow for fast network communication to the server, and maintaining data safety on the server, while at the same time preventing over-reaching and maintaining a level of control. Find out about our imaging and licensing management.